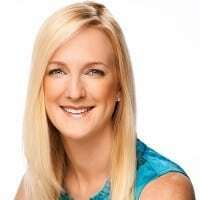 Sarah Osteen is President of Spark Strategy LLC, a leadership consulting practice focused on organization effectiveness consulting, leadership program design and delivery, and executive coaching. Sarah’s clients span a range of sectors including: financial, energy, public sector, pharmaceutical, health care, technology, retail, and non-profit. As a leadership consultant with a passion and drive for designing and implementing strategies focused on employee development, Sarah works with clients to deliver high impact leadership development solutions for both individuals and teams. Her professional strengths include the ability to combine business acumen and organizational development knowledge with strong communication skills. This experience brings a recognized ability to lead strategy discussions, collect relevant data, and provide a clear interpretation of complex issues at a strategic and tactical level. Sarah spent nine years as a Senior Solutions Manager in Corporate Learning at Harvard Business Publishing. In her role she worked closely with the Harvard Business Publishing sales team to design powerful leadership development solutions and to help drive the six million in annual revenue for the North East. Sarah continues to maintain a close partnership with Harvard Business Publishing in the role of Moderator and Senior Instructional Designer. Prior to joining Harvard Business Publishing, Sarah worked as a project manager with two consulting organizations: Impact Performance Group and Cognitive Arts. In her capacity at Impact Performance Group she managed a team of writers, designers, and facilitators through the development and implementation stages of highly customized sales training programs. While at Cognitive Arts she led the design efforts for training programs in a variety of market segments. Sarah received her BA in English from Georgetown University and her MBA from the F.W Olin Graduate School of Business at Babson College. In 2012 Sarah attended the Executive Coaching Intensive Program at Columbia University and has effectively leveraged her coaching skills as part of robust leadership development programs.